As Thompson Miami Beach in Miami prepares to open after a multimillion renovation, we round up nine other luxury hotels for design-conscious travellers seeking some winter sun. From Bali to Dubai these chic hotels are the perfect place for some winter sun worshipping. Don’t forget to pack your SPF! 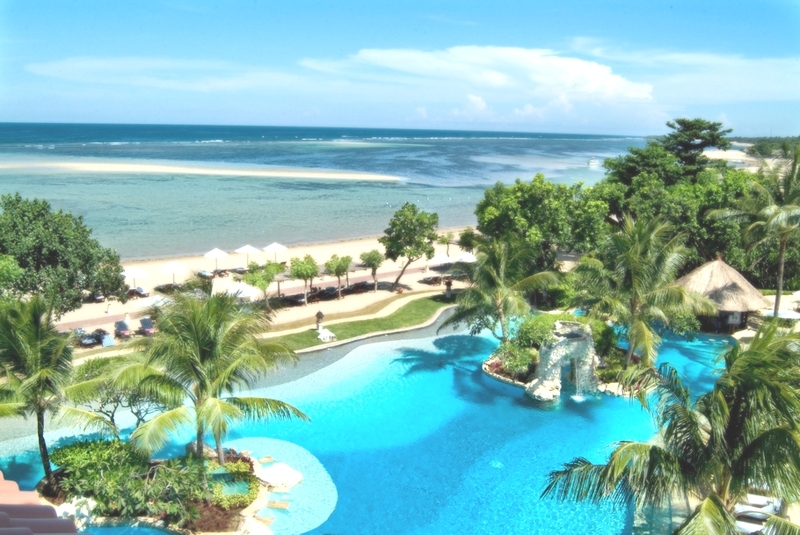 Set in the prestigious shores of Nusa Dua on one of the arresting exclusive beach of Tanjung Benoa – Aston Bali Beach Resort and Spa is an ideal retreat to escape and unwind. The resort’s spacious and luxurious, 187 rooms and suites are decorated in a Balinese contemporary style and fully-equipped with modern amenities for uncompromising comfort. The luxury Bali hotel has four versatile restaurants, three bars and a lounge serving Western, Asian, Italian and Balinese cuisine. An impressive free-form lagoon pool as well as the children swimming pool and the resort’s in-house Biwana Spa will indulge you with pure leisure. 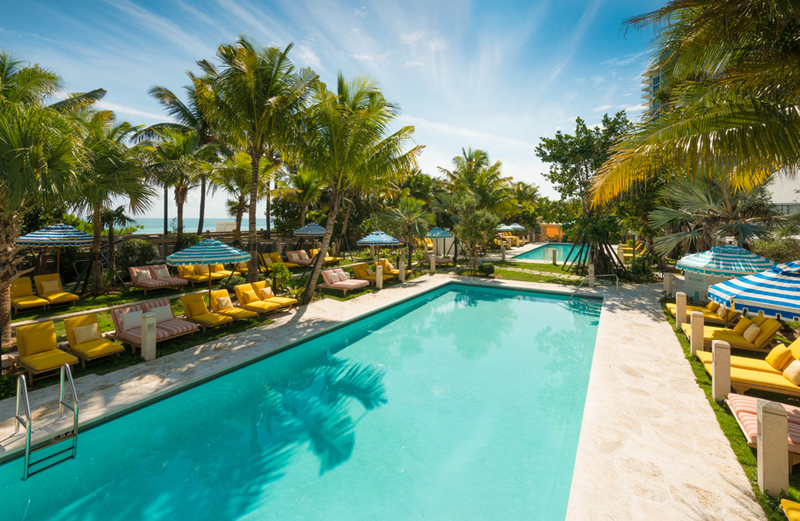 The new upscale beachfront hotel is located in the desirable Mid-Beach neighbourhood, just a few blocks north of South Beach proper. This area is currently undergoing a major resurgence and attracting a more sophisticated crowd after the party scene, but within more refined surroundings. The 380-room hotel remains true to the buildings original art deco features and 1950s architecture, with interiors designed by acclaimed UK-based designer Martin Brudnizki. The focus is on creating experiences and destination partnerships that tap into the local buzz of this exciting neighbourhood. Perfect for stocking up your cellar ahead of the festive season, The Yeatman are hosting their annual Christmas wine weekend. The weekend gives visitors the chance to taste, enjoy and stock up on the finest Portuguese wines and ports, courtesy of 70 wine producers from all over Portugal. 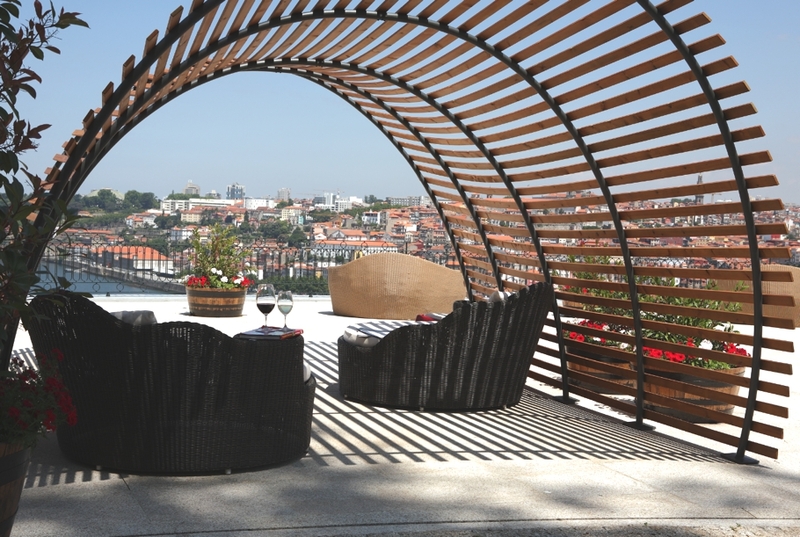 Located in the located in the historic Port wine lodge area of Vila Nova de Gaia, Porto, just an hour and half from the famous Douro Valley, The Yeatman is the perfect place to explore and learn more about the world of wine. The decanter shaped swimming pool and a Vinotherapie Spa, offering products and treatments from the vine, mean you can relax in style in between glasses! 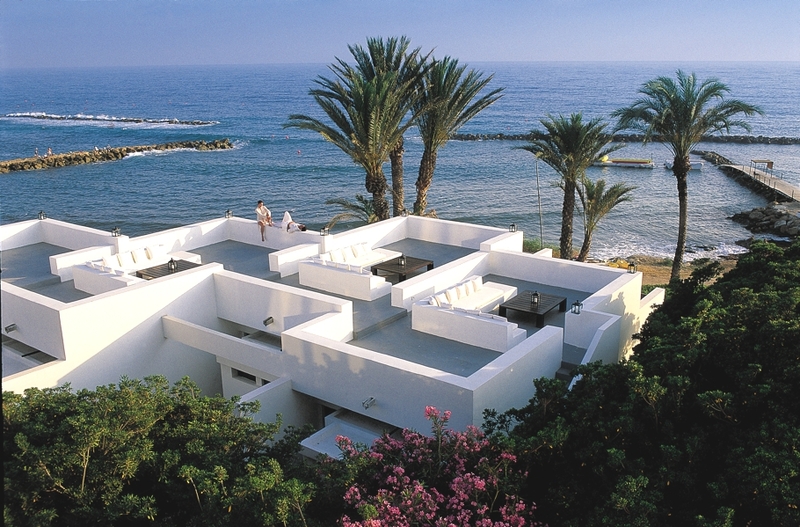 Almyra is a stylish and relaxing family seafront hotel that sits in eight acres of landscaped gardens on the Mediterranean shoreline of Paphos. Meaning ‘taste of the seas’, Almyra’s highlights include the Almyraspa – a sun-lit utopia of organic and marine-based therapies complemented by inspiring ocean vistas – and the waterfront Kyma Suites, showcasing harbour views from candle-lit rooftop terraces. 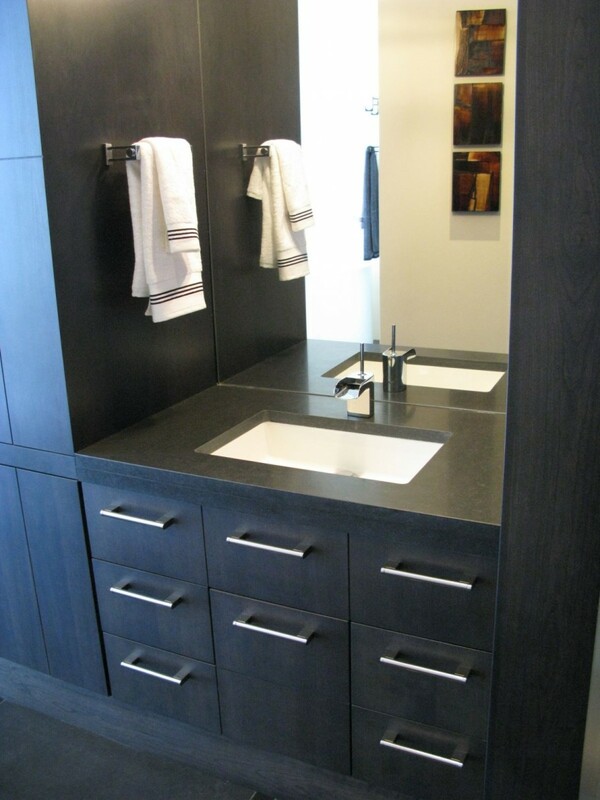 Almyra is a comfortable combination of modern design elements, sleek facilities and family-friendly features. 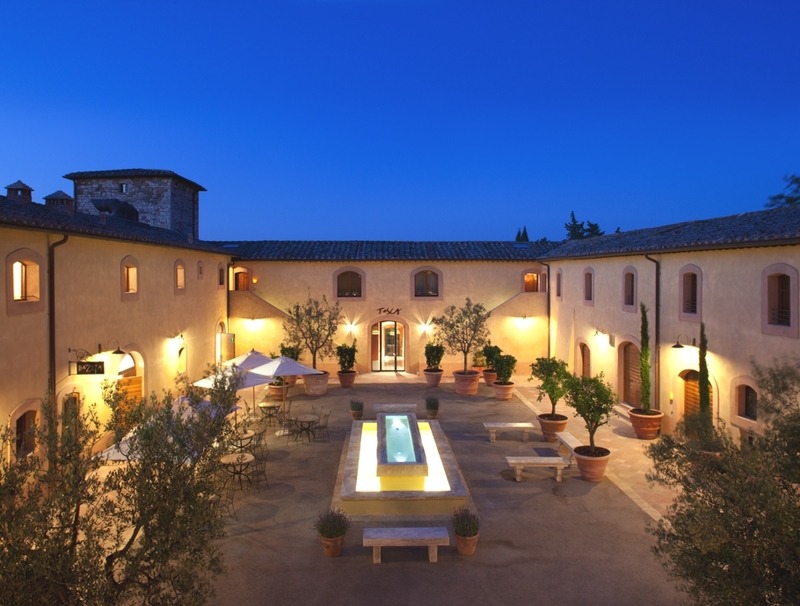 Castello di Casole is a boutique estate, located 45 minutes from Florence. The historic 4,200-acre estate features a 41-suite boutique hotel complete with the world-class Essere Spa, 88 acres of vineyards, 13 acres of olive groves and several acclaimed restaurants, making it one of the most romantic venues in Europe. 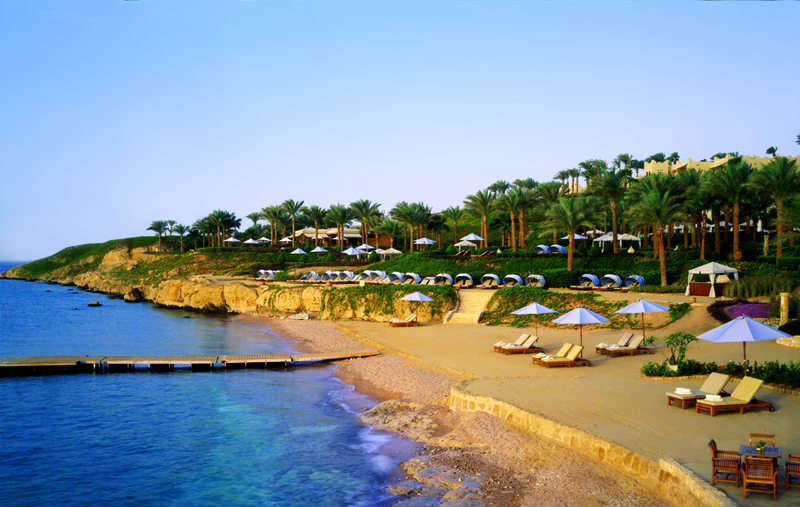 Four Seasons Resort Sharm El Sheikh is a hillside Red Sea diving resort bathed in brilliant blue skies and sunshine, where luxury and natural beauty meet. Guests can enjoy diverse tastes at the on-site restaurants, relax at any of the four resort pools, or snorkel and dive among world-class coral reefs. From the drivers to the room attendants, to the Concierge and executive chef, every member of theFour Seasons Resort Sharm El Sheikh staff is dedicated to one missions: bringing guests the best of the Middle East. The Chedi Muscat is located by the Al Hajar Mountains and with its own private beach, twenty-one acre garden’s and featuring nine dining options, a spa, a health club and three swimming pools, this luxurious destination is the ultimate Middle Eastern escape for the family to enjoy this October half term. Activities include Sea Excursions- exploring the hidden treasures of the Gulf of Oman direct from the hotel’s private beach; Two nights camping in the Wahiba Desert- the ultimate “glamping” experience in the Arabian desert; Golfing at one of Muscat’s 18 hole golf courses. Spa treatments and bespoke tours of the ancient destination. 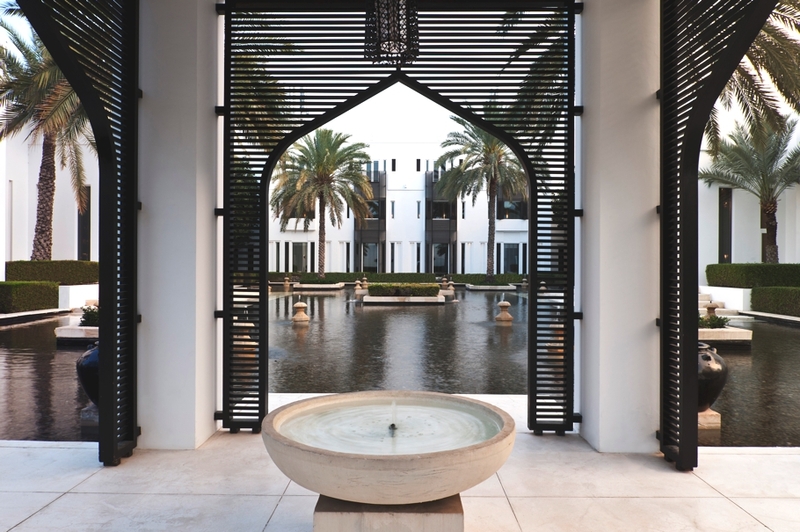 The only member of The Leading Hotels of The World in Oman, The Chedi Muscat is located in Al Ghubra, 20 minutes from the old city of Muscat and 15 minutes. 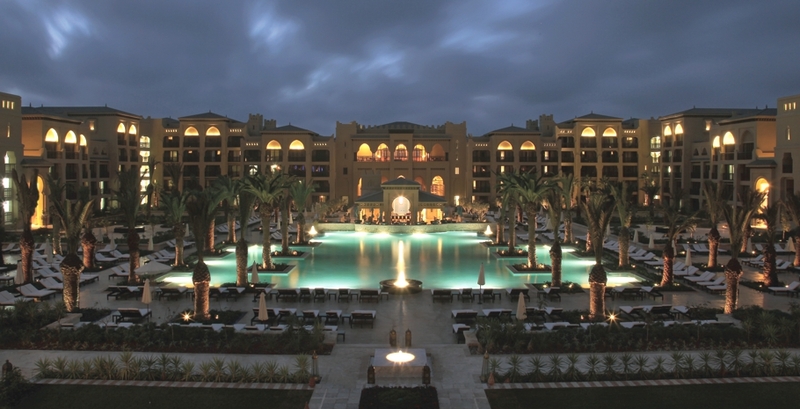 Mazagan Beach & Golf Resort, Morocco is a five-star destination located within easy reach of some of the most beautiful and historical areas of northern Morocco, but distanced enough to fully relax amongst the tranquillity of the Moroccan coast. Only a three-hour flight from the UK, Mazagan is perfect for a winter escape. In addition to the top- notch kids clubs, there is plenty the family can do together. Mazagan offers everything from go-carting, quad biking and sand-duning to horse riding on the beach, kids soccer camps, petting zoo, cooking classes and more. 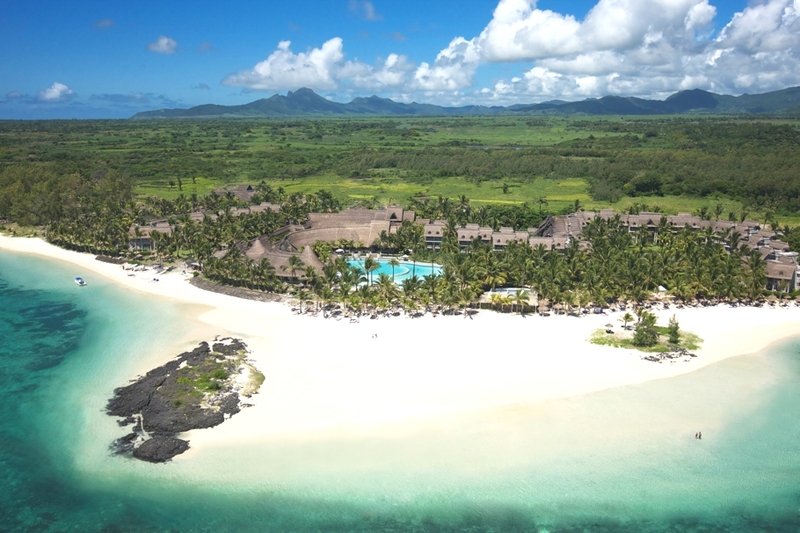 LUX* Resort’s flag ship Hotel LUX* Belle Mare is opening its doors to welcome guests to a new understated style of Mauritius luxury. 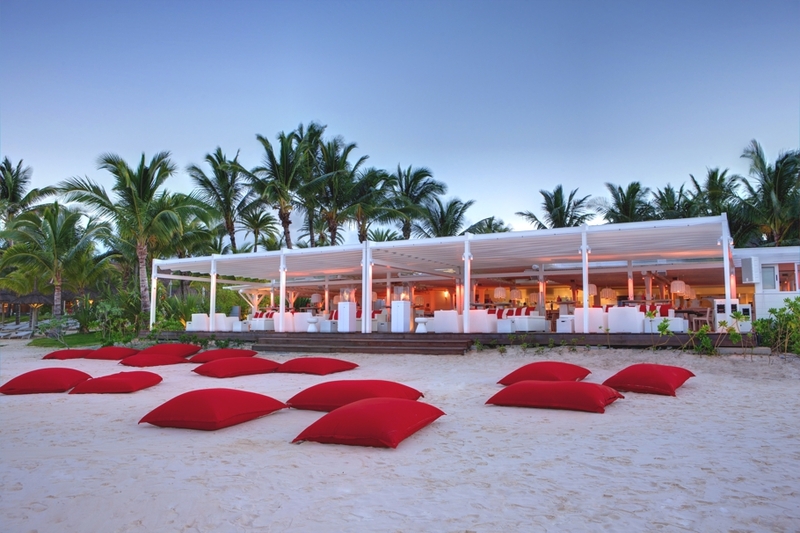 Renowned London-based design queen Kelly Hoppen has brought her own touch to LUX* Belle Mare with her fresh take on traditional Mauritian hospitality. The perfect holiday destination for families looking to unwind in paradise, LUX* Resorts & Hotels let children be children with their own brand of ‘ICI’ ice cream, Teddy Tennis, Cake Boss and Screen on the Beach. Surprises are around every corner from hidden Messages in a Bottle offering family gifts, to treasure hunts in the resort’s organic herb garden. Located in the royal enclave of Nad Al Sheba, accessible by the emirates Road, Al Barari Al Barari is a luxury residential estate discretely located just a 10 minute drive from Downtown Dubai. 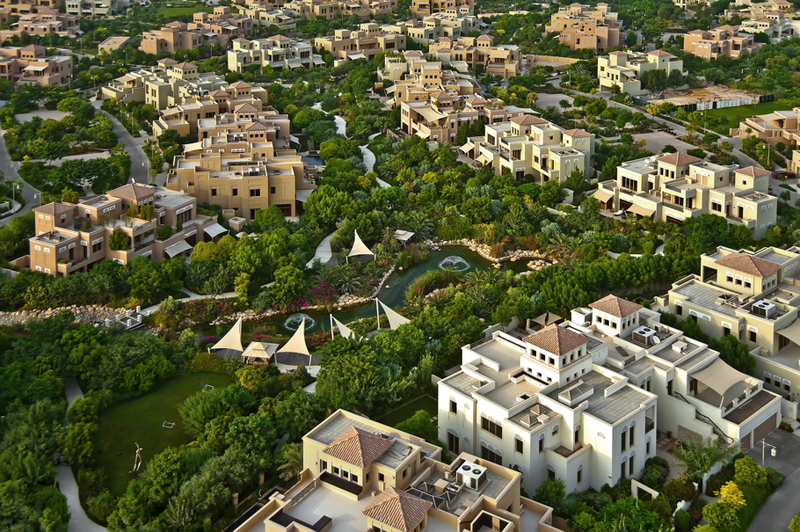 Al Barari plays host to approximately 30 per cent more rare species of flora and fauna than neighbouring residential developments, offering a rare lifestyle choice to discerning buyers in the Emirate. Uniquely, the level of plant density has resulted in the creation of Al Barari’s own microclimate, 2-5 degrees cooler than downtown Dubai. The estate also features Dubai’s newest beauty and wellness sanctuary, Heart & Soul Spa officially opened this December. In harmony with the overall natural-living ethos at Al Barari, the spa will comprise indoor and outdoor rain showers, private suites, hammam and steam rooms, each with the backdrop of Al Barari’s lush greenery. International design studio Aamer Architects have designed the Dalvey Estate project. 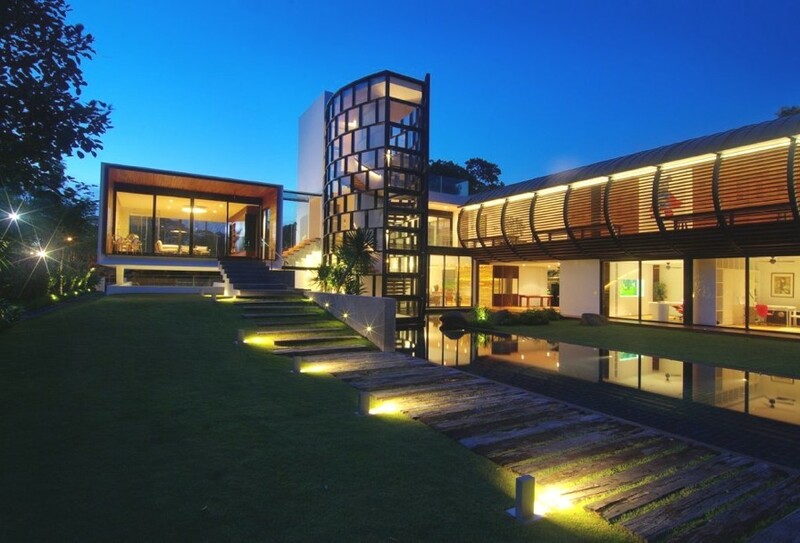 The luxury property can be found in Singapore.